I discovered brown rice pasta when we learned my mother had a gluten sensitivity and couldn’t eat regular pasta. 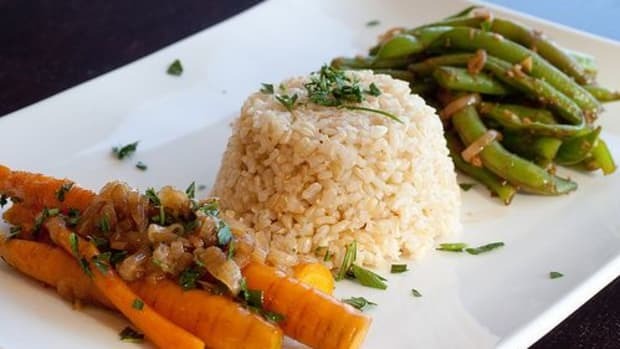 We started experimenting with other types of pastas, like brown rice pasta, and my husband and I discovered we love it! 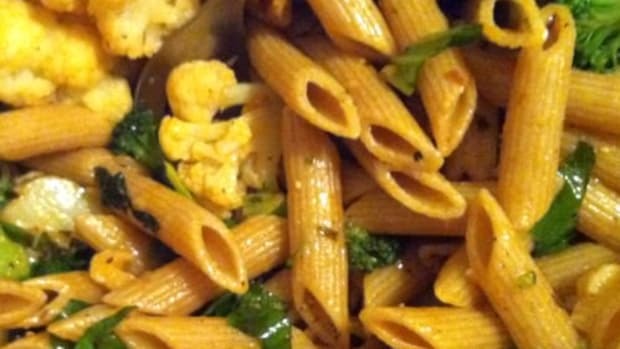 We find it is less filling than normal pastas and it has a delicious nutty flavor. When my natural path doctor prescribed an anti inflammatory diet for a month, that meant I couldn’t have any cheese or milk from cows (which is a fav!). But I could have goat cheese! That’s when I discovered some delicious raw goat cheeses. Goat cheese is healthier than cow’s milk (because of the smaller proteins) and raw cheese is easier to digest. 1. Cook brown rice according to package directions (I undercook brown rice pasta about 1 minute so it doesn’t turn to mush). 2. 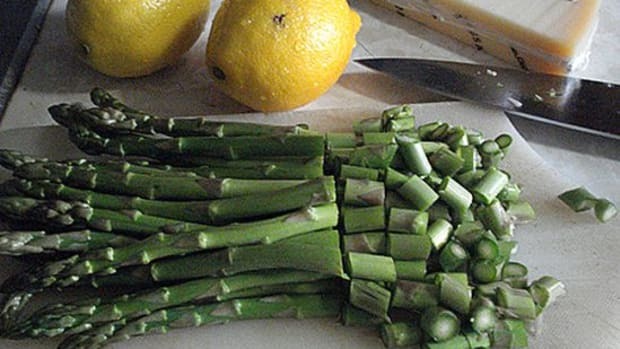 Steam asparagus until bright green, remove immediately and plunge into an ice bath (or you can sauté asparagus in 1 tablespoon of olive oil and butter until it turns bright green, don’t overcook). 3. Meanwhile make pesto according to the directions below. 4. 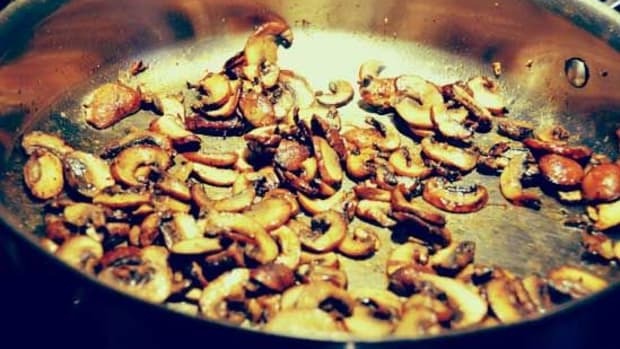 Sauté mushrooms in 1 tablespoon of olive oil, butter mixture until browned and tender. Deglaze with 1 tablespoon of white wine vinegar (or wine) mid way through cooking. 5. Drain pasta when done cooking. 6. 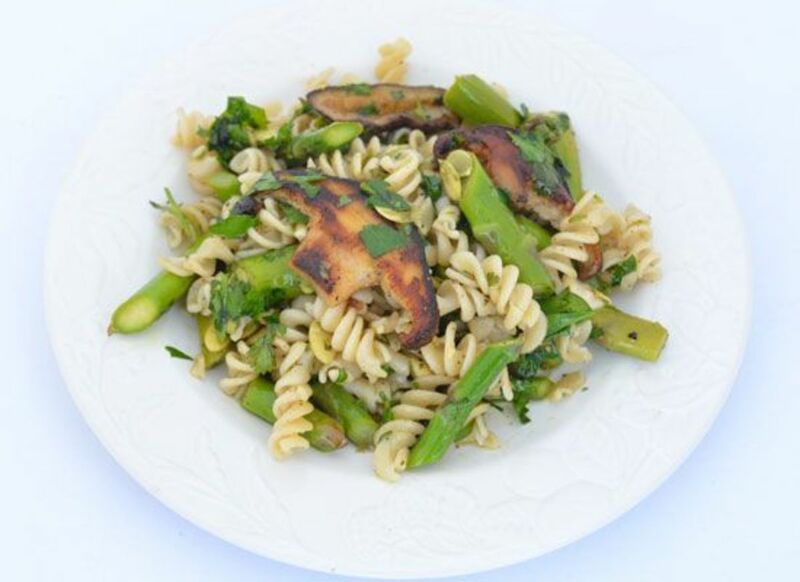 When mushrooms are done, add 2-3 cups of cooked pasta (use your best judgment, you can always add more), asparagus to pan and toss with pesto. Taste for seasonings and adjust. 7. 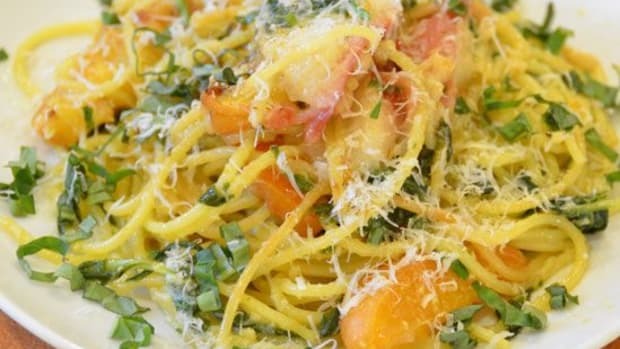 Serve immediately and garnish with shavings of your favorite hard goat cheese (if you can find goat cheese, you can always use parmesan or pecorino). 1. I like to use a mortar and pestle to make pesto. It makes a huge difference in the flavors. The pesto tastes much fresher and you can taste the distinct herbs. I find when using a food processor or blender, it burns up the distinct flavors of the herbs and they get lost and muddled. 2. If you don’t have a mortar and pestle, simply place all ingredients in your chosen kitchen appliance and gently blend until combined. Taste and adjust seasonings. 3. If using a mortar and pestle, smash garlic clove and remove skin. Place in mortar, add a pinch of salt and crush with pestle until you have a paste. Add pumpkin seeds and crush until you have small bits of pumpkin seeds. 4. Roughly chop parsley and cilantro. Add chopped leaves to mortar and crush with pestle. Add the lemon juice and gradually add the olive oil to mixture while crushing with the pestle. Salt and pepper to taste.